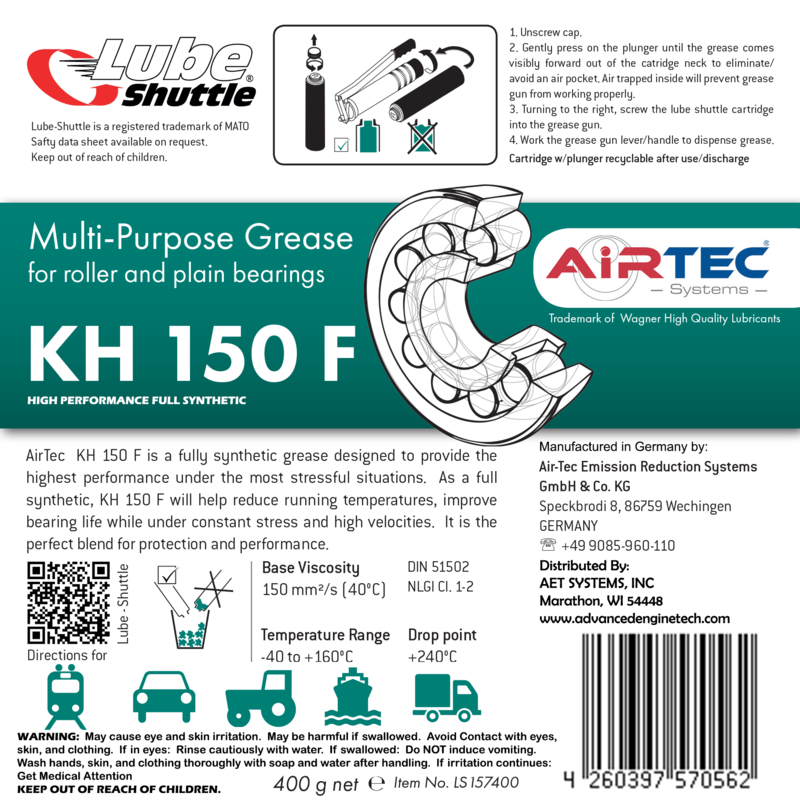 AirTec KH150 Full Synthetic grease is the ultimate high-performance grease. Made with a Full Synthetic base oil and thickened with a Calcium Complex it is designed top to bottom for performance. The guaranteed structure of a fully synthetic base oil allows for more consistent lubrication which means lower running temperatures and increased lifespans. However, a fully synthetic base oil is not the only advantage of KH150 as it is thickened with a calcium complex instead of lithium. There are many advantages that calcium sophonated greases hold over lithium greases, in fact, the only field where lithium wins is in cost. Calcium thickened greases are naturally more resistant to wear, have greater stability, and have higher mechanical and shear stability than lithium thickened greases. Additionally, calcium greases have natural corrosion inhibitors and are water resistant, whereas lithium greases require additives for corrosion prevention and tackifiers for water resistance-which are known to break down quickly. AirTec KH150 is the clear choice for performance and protection.